FootJoy has expanded its range of athletically-styled golf shoes with the launch of the all-new FJ Fury, a sporty-looking spiked model that boasts an eye-catching upper design. 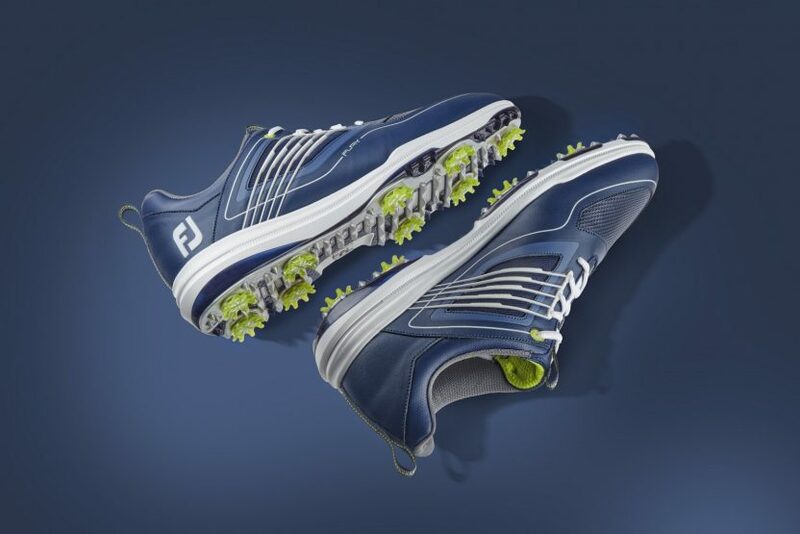 Already worn on tour by the likes of Rafa Cabrera Bello and Brandon Stone, the Fury offers a number of unique performance features, including a new internal fitting system called TruFIT, which focuses on fit, comfort and support. Designed from ‘the inside out’, the TruFIT System aims to deliver stability and comfort where it is most needed. This system comprises an all-new D3 outsole ensures a solid, rigid platform for lateral stability and traction, while a dual-density, foam-infused midsole delivers comfort and cushioning. Inside the shoe is a soft, stretchy, one-piece inner sleeve lasted underneath the insole board to provide a secure fit. An external cage system around the midfoot area adds structure to the upper and locks the foot in place, while also offering lateral support throughout the swing. The main element of the upper is made from full-grain, waterproof leather which boasts a waterproof membrane, while a vented toe section adds breathability. 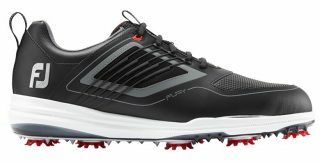 A flex layer of TPU combined with low-profile Pulsar cleats delivers heel-to-toe grip and flexibility, even when crouching down to read putts. Available in a choice of white/red; navy/white, or black/red, the FJ Fury shoes have an RRP of £150 and go on sale from February 15. 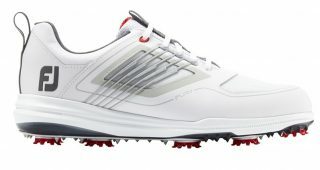 For more details, visit www.footjoy.co.uk.